Kombat will live in Injustice 2 beginning next month when Lin Kuei veteran Sub-Zero joins the fray as part of the title’s Fighter Pack 1 DLC. Sporting a radically new design, Sub-Zero retains many of his signature moves and combos as evidenced by his introductory trailer released yesterday during Ed Boon’s 25-year Mortal Kombat retrospective with Geoff Keighley at E3. 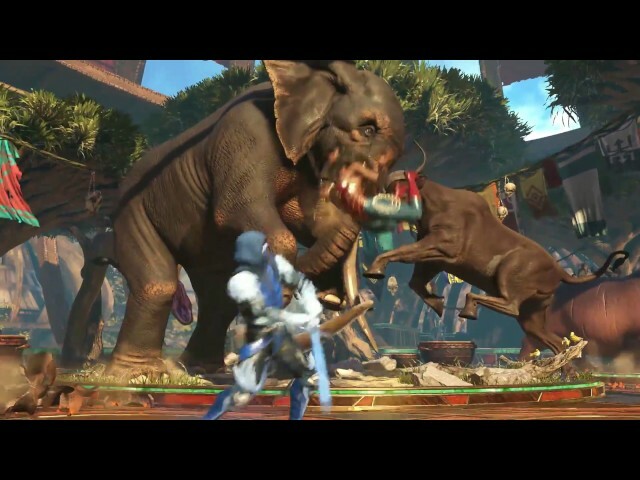 While Mortal Kombat’s extreme violence will never make its way into a franchise such as Injustice, it’s clever to note the way in which NetherRealm Studios have paid homage to Sub-Zero’s classic Head Rip Fatality. With that in mind, keep an eye on his winning pose — clever, huh?